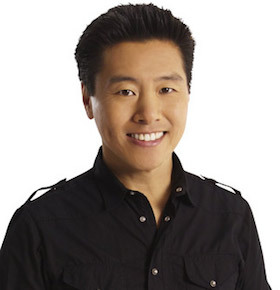 Star of TLC's "Trading Spaces"
Host of HGTV's "Deserving Design"
Recognized from TLC’s Trading Spaces, and his decade-plus on HGTV, Vern Yip has become one of America’s most recognizable and lauded interior designers. And having also worked hand-in-hand with companies such as Microsoft, Procter & Gamble, Delta, and Porsche, Vern has built a reputation for award-winning designs hallmarked by precision, clean lines, and warmth. Among Vern’s highly lauded product collaborations are the Vern Yip for Trend Home Fabric and Trim Collection in partnership with Fabricut and decorative lighting with Stonegate by AFX. Recently, Vern launched his second collections for both Fabricut and Stonegate by AFX and his first wall covering collection will debut in the fall of 2018. With an undergraduate education from The University of Virginia, a M.B.A. and Master of Architecture from The Georgia Institute of Technology, and an honorary Doctorate from the Savannah College of Art and Design, Vern has used his varied educational background to build a body of work noted for his attention to both function and aesthetics. Many elements of his eclectic style demonstrate an influence from his love of travel. Vern has traveled to over fifty countries as a travel and design columnist for The Washington Post, a design advisor to global brands, and as a U.S. Ambassador for UNICEF. He runs his own design company in Atlanta, Vern Yip Designs. Vern’s projects have amassed an impressive list of design awards including: 2015 Design Maverick Nominee, the Distinguished Southerner Award, and Southeast Designer of the Year. Both Vern and his work have been prominently featured in publications such as The New York Times, House Beautiful, HGTV Magazine, and the September 2016 cover of Traditional Home. Vern’s first book, “Vern Yip’s Design Wise: Your Smart Guide to a Beautiful Home” spent nearly a week as an Amazon #1 Bestseller and reached #2 on The New York Times Bestseller list. For availability and speaker fees, please contact Vern Yip ’s speaking agent at Chartwell here, or call +1 972 385 1021 for U.S. inquiries or +44 207 293 0864 for international inquiries.